Godiva 951XL by New Look - Have you always wanted really long hair? If so, the Godiva 951XL by New Look is here for you. One of our longest wigs, the Godiva reaches a length of 44 inches. Your new Godiva hair will fall down your back, and feel as if it were never-ending. Soft strands of the finest quality hair that you’ll fall in love with. The look this wig provides you with is amazing. People won’t be able to take their eyes off your new Godiva 951XL wig. Can you blame them? 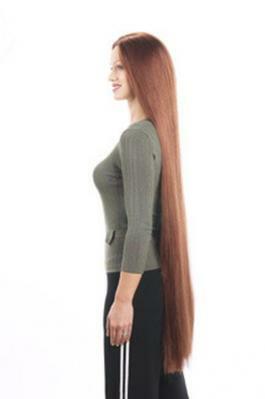 Not many women have such beautiful long hair. It’s a privilege, and one you should be proud to own. At our great, low price, you can afford this look without breaking the bank. Look good instantly, and show off your new long hair today!